No matter how many countries you've been to, there's always somewhere new to discover. But with so many cultures, countries, and landscapes to explore, it's hard to prioritise one dream destination over another. Business Insider UK asked 20 top travel bloggers and writers/editors from the likes of Lonely Planet, Suitcase, and Airbnb for the top five destinations they've ever visited — or the ones that are at the top of their bucket list. Based on their advice, we've compiled a list of must-see places across the globe that everyone should visit in their lifetime. From off-the-beaten-track hidden gems to well-recognised yet stunning locations, prepare to get hit with some serious travel envy as you scroll on to see the 100 destinations everyone should visit in their lifetime — along with why everyone should experience each trip. See mountain gorillas in Virunga National Park, Democratic Republic of Congo. India Dowley, Digital Editor of Suitcase Magazine, told us this is the best place to see mountain gorillas in their natural habitat. "Climb 3,470 metres to the summit of Mount Nyiragongo, an active volcano that last erupted in 2002 and spend the night in a shelter overlooking the world's largest crater lake," she said. Visit the chocolate box fishing villages of the Lofoten Islands, Norway. "This remote archipelago in Norway is known for dramatic peaks and dark glassy seas," Dowley said. "Dotted with chocolate-box fishing villages such Henningsvær, it's not hard to imagine it when the Vikings ruled the north seas." Pretend you're on a desert island at Motu Tiapaa in Maupiti. "This islet in the South Pacific archipelago is as close to a desert island as you're going to get," Dowley said. "Simultaneously wild and tranquil, volcanic black rock meets powder-white beaches, beyond which, between July and October, humpback whales glide past on their annual pilgrimage from Antarctica." Explore the sci-fi landscapes of Cappadocia, Turkey. "Volcanic eruptions nearly four million years ago left the landscape dotted with rock structures known as fairies, leaving the region looking like something out of a Star Wars film," Dowley said. "Now scattered with underground cities and carved out cave dwellings, Cappadocia has only begun to attract visitors in recent years." Camp in the Caucasus Mountains in Kazbegi, Georgia. "This small town in the Caucasus Mountains is one of the most beautiful places I have ever been," Dowley said. "Tbilisi locals go in the summer months to camp among wild horses on the lush carpet of the mountains, with vertiginous views of waterfalls and towering peaks." Chill out in Levi, Finland. James Asquith, who holds the world record for being the youngest person to visit every country in the world, picked this as one of his hotspots. "Located over 100 miles north of the Arctic circle, it gets seriously cold here," he said. "I was there when the Mercury dropped to -34 degrees centigrade, but once you acclimatise to having your breath taken away every morning, you can get busy with some truly unique activities. Ride snowmobiles and skid around on ice in go-karts, and be sure to check out the Ice Hotel." Have a star-gazing sleepover in Tuvalu. 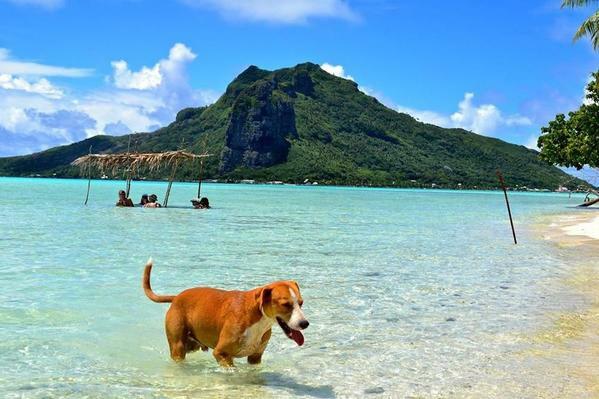 "This Polynesian island nation is one of the smallest countries in the world," Asquith said. "Only two flights a week depart from the island. After these go, the airport runway becomes a gigantic open air sleepover at night. What feels like the entire population of the country drag their mattresses out to the runway and sleep in the open as a cool nightly breeze runs across the flat land here." Try the nightlife scene in Accra, Ghana. "Ghanaian people are super friendly in the cosmopolitan capital Accra," Asquith said. "The vibrant young population continue to pioneer what is cool in Africa, [and] bars set around swimming pools where waiters speed around on roller blades to serve drinks certainly make this a constantly evolving and happening city." Watch a world-renowned sunrise in Kiribati. "Kiribati has the most Eastern inhabited islands in the world, so if you're lucky enough to have these east-facing beaches to yourself, you'll be one of the first people to watch the sunrise," Asquith said. Travel back to Babylon in Samarkand, Uzbekistan. "With beginnings that make Samarkand as old as Babylon, this beautiful city on the Silk Road has survived many of history's major upheavals including Alexander the Great and the Arabic conquest," according to Asquith. Look down into Jackson Hole, Wyoming, USA. Daniel Houghton, CEO of Lonely Planet, told Business Insider: "Incredible snow, beautiful views, Jackson is a skier's heaven. Exhibition Run, one of the toughest in North America, is a particularly difficult but rewarding feat." Surf at Point Roadknight, Melbourne, Australia. Point Roadknight in Melbourne, Australia. "I fell in love with the surf beaches south of Melbourne," Houghton said. "Bells Beach and Point Roadknight offer exhilarating and beautiful spots to catch a wave or two." Explore London's edgy urban scene. "London's unique character of ancient pubs, edgy street art, eclectic food from around the world and, of course, Londoners themselves make London a place like no other," Houghton told Business Insider. "Hampstead Heath is a beautiful spot to take in the sheer size of the city." Get to know Hawaii's islands. "Hawaii is the only US state I've never been to," Houghton said. "I have to get there soon. As a surfer, it's a travesty I haven't made it there yet." Be inspired by the ancient temples of Angkor Wat, Cambodia. "Lonely Planet named Angkor Wat the number one site in the world to visit," Houghton said, selecting his final pick. "Catching sunrise over the temples overrun with tree roots is a sight that every traveler should have top of their bucket list." Take a road trip around Louisiana, USA. As a travel writer and journalist, Inside The Travel Lab owner Abi King knows a thing or two about destinations. Of her first pick, she said: "Gators, grits, and gumbo. I loved the famous Southern hospitality, the heady jazz-fuelled life of New Orleans, and the silence over the beautiful landscape like the Creole Nature Trail." Build an igloo at Kamakura Festival in Yokote, Japan. "Arrive in Yokote at the right time each year to find igloos popping up on the streets like mushrooms in the dark," King said. "Over 260 miles from Tokyo, the whole village joins in with this night-time festival and children hand out hot sake to everyone." Only 2 out of the few that you posted that ihae visted. I was thinking all the time that Demerara_Guy was taking trips to the retirement home's buffet table. Be rendered speechless by Tsingy Rouge, Madagascar. "Describing them as a natural rock formation barely does them justice — the rivers of sand that sparkle at their feet, the bold blue sky just visible overhead, the rocks themselves," King said. "The rock formation's rust red curves ripple like a concertina. It's indescribable." Light a candle at Birgufest, Malta. "Birgufest's beauty lies in its simplicity: lit candles across the city create a glittering illusion," King said. "Of course, this city's narrow cobbled streets and towering honeycomb walls look stunning all day long, but this is other worldly." Cycle through the air in the cloud forests of Ecuador. Mashpi Lodge can cycle through the air, fully immersed in the impressive emerald beauty that lives beneath the treetops." Take on Britain's toughest trek at Cape Wrath, Scotland. Alex Roddie, Sub-Editor of Sidetracked Magazine, told Business Insider: "The Cape Wrath Trail — Britain's toughest long-distance hike — is used as a Ministry of Defence training zone and must be accessed either on foot or by ferry, making it an unusual place to visit." Reach Norway's peaks, stopping off at Gjendesheim cabin. "The Jotunheimen National Park contains Norway's highest glaciated peaks," Roddie said. "On the edge of this wilderness, the DNT (Norwegian Trekking Association) cabin of Gjendesheim makes a comfortable base from which to explore the mountains or kayak along the magnificent Lake Gjende." Venture up the Alps, stopping off in Arolla, Switzerland. "This high mountain village in the Swiss Alps is a quieter alternative to the mini-metropolis of Zermatt nearby, yet is surrounded by some of the finest peaks in the Alps," Roddie said. Backpack through Lairig Ghru's sub-arctic plateau in Scotland. "The Cairngorms form one of Britain's highest and most remote mountain areas — a haven for rare plants and animals and a Mecca for mountain-lovers, Roddie said. "A classic multi-day walk links Braemar with Aviemore through this glen, and is a must-do for all Scottish backpackers." Stay in the Loch Ossian Hostel, Scotland. The eco-hostel has an 85-year history and is located on the edge of the remote and beautiful Ben Alder area of the Highlands," Roddie said. "Solar-power and locally sourced hydro- provide hot showers and electricity." Scuba dive in the Bazaruto Archipelago, Mozambique. Kiersten Rich, owner of travel blog and Instagram account The Blonde Abroad, told Business Insider: "Situated in the protected Bazaruto National Park, the Bazaruto Archipelago is one of the best places I've ever been scuba diving, and is one of the more memorable and naturally beautiful places I've traveled." Be one with the animal kingdom in the Galápagos Islands. "Never have I encountered wildlife so unafraid and curious of humans," Rich said. "The Galápagos National Park has taken incredible measures to protect all forms of nature and, in doing so, we can observe birds, reptiles and marine life more than anywhere else I've been in the world." Discover the lesser-known isles of French Polynesia. "Instead of joining resort-goers at Bora Bora, you need to explore the vanilla plantations of Taha'a Island, the tropical 'blue lagoon' of Rangiroa, and the lava tubes and secret waterfalls of Tahiti," Rich said. "Namibia has one of the lowest population densities in the world which means long drives with nothing but nature," Rich told Business Insider. Take in some magic — and food and wine — in South Africa. "From the big-little-city of Cape Town to the delicious food and wine of the Stellenbosch Winelands [and] the game reserves helping to conserve and protect the Big Five [safari animals], South Africa is a magical place that everyone should experience," Rich said. Immerse yourself in the culture of Moscow, Russia. A Christmas Market in Moscow, Russia. Airbnb's General Manager for Northern Europe James McClure said of Moscow: "I love the mix of history, art and architecture here — everything from 17th century townhouses to big Soviet blocks — combined with the energy of a massive and dynamic city. Next time I visit, I'm keen to try Airbnb's Local Georgian Food Experience which explores the tasty Georgian food you can discover in Moscow's food markets." Get to know the different sides of Hi Chi Minh City, Vietnam. "When I lived in Singapore, I used to travel to Ho Chi Minh City every month," McClure said. "It's a city that rewards repeat visits once you get to know the local people there. The variety amongst the different districts is really stark, plus there's narrow lanes teeming with street vendors, river life, and fantastic food and nightlife." Grab a coffee in Sydney, Australia. "Whether you're going for an early morning surf at Bronte beach, or drinking [what is] arguably [the] world's best coffee, Sydney is overall a stunning city with access to sporting heritage and national parks very close by," McClure said. "I couldn't recommend the lifestyle highly enough." Stay in a homestay at Lake Toba, Indonesia. McClure said Lake Toba is "the biggest lake in Southeast Asia, with an island in the middle which is bigger than Singapore." "You can laze around on truck inner tubes in the lake, cycle around the island and stay in traditional homestays. It doesn't get much better than that." Party with the best at Rio Carnival, Brazil. "Surprisingly, I've never been," McClure said, adding: "I know it's fairly cliche but I really want to experience Rio Carnival one day." Scuba dive off of Raja Ampat Islands, Indonesia. Melissa Hie, the food and travel blogger who runs Girl Eat World, said: "The scuba dive sites here are pristine, colorful, and abundant with sea life. We saw everything from big fish like sharks and manta rays, to the small stuff like seahorses and nudi branches." "The city of Kumamoto was hit with an unfortunate series of strong earthquakes in 2016 that left the city without water and damaged the precious Kumamoto Castle," Hie said. "I visited the place a few months after but it didn't stop us from taking a rental car and exploring around the beautiful mountain surrounding this region." Lots of people want things even though they don't know or care what to do with them. Then the GOG needs to place a phantom lean on the properties. Here is one of his best …. Yaman Raag. Ok I understand, why the third one was a shocker for you. Guyana rises in press freedom ranking moved from 60 to 55.